Being a Porsche owner and enthusiast has some hidden benefits that aren't available to owners of other cars. It seems that almost every year there is a significant event centered on Porsche somewhere in the world. 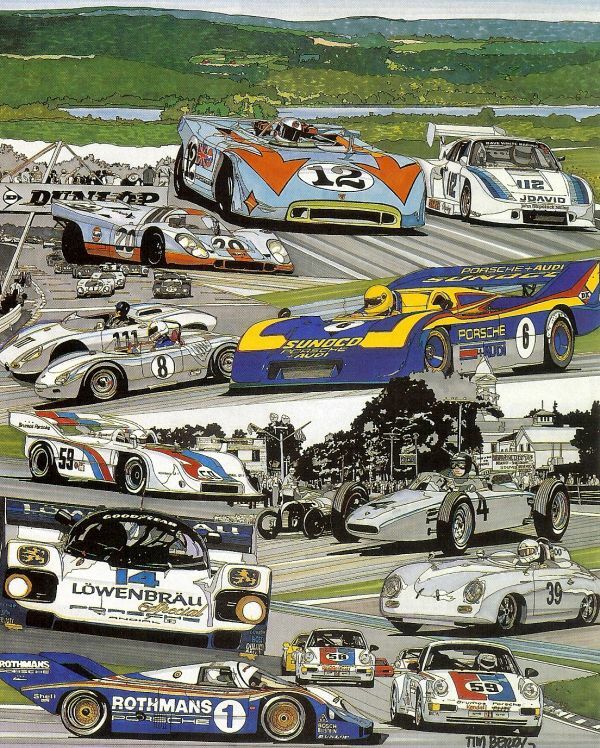 These typically involve large numbers of historically significant vintage Porsche race cars of all varieties. Events like these are a chance to get up close to, see and hear historic Porsches that you have only read about or saw on TV a few times. Even the spectator parking areas are usually packed with interesting and rare street Porsches. The following events are some of the more significant Porsche only or Porsche centered events held in the United States over the last few decades. Significant 914s are always found on track at these events. There are also interesting 914s and other Porsches to be found hiding in the paddock and parking lots. Recently I figured out how to stream video to a PC or smart phone. These videos can also be downloaded to a PC and viewed from your hard drive. All of them are quite large so a good high speed internet connection will be needed. All of the videos on this page are MP4 files in NTSC format. 1998 was Porsche's 50th anniversary as a car company. To celebrate, Porsche held events around the world throughout the year. Two of these events were in the United States. 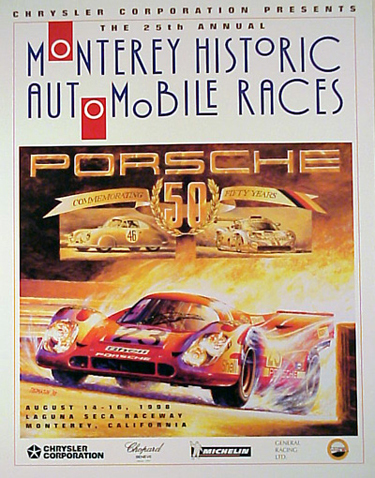 As part of the celebration in 1998, Porsche was the featured marque at the Monterey Historics. This event was written up in Panorama, Excellence and Autoweek. A few weeks later there was another celebration at Watkins Glen which was also the 50th anniversary of the Watkins Glen track. 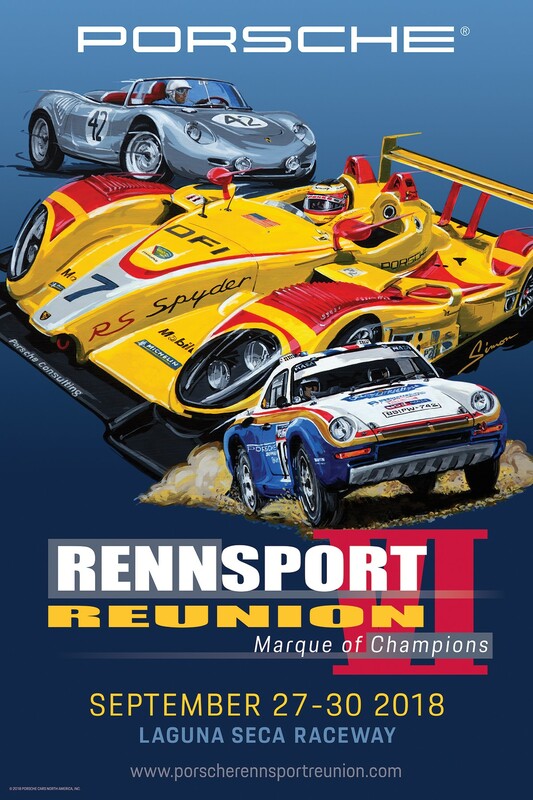 This event was put on by Porsche and was the prototype for the later Rennsport Reunions. This was written up in Panorama and Excellence. 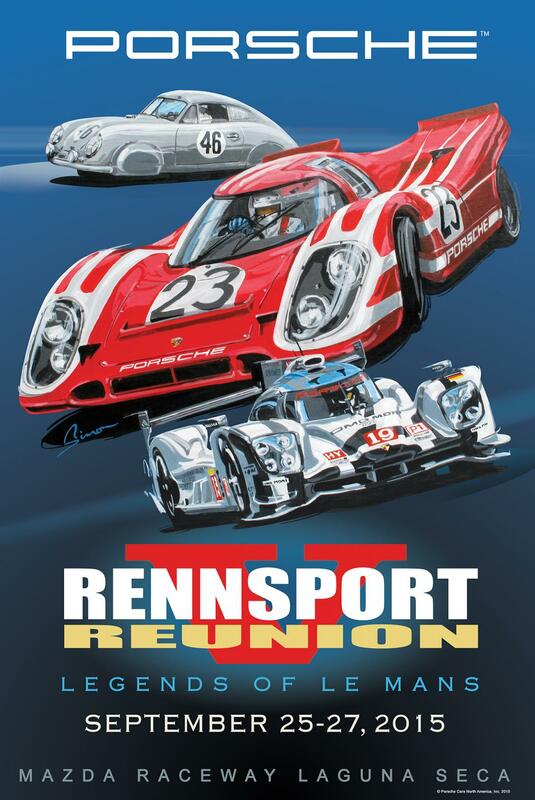 The 50th anniversary celebrations were so successful that a few years later Porsche held the first Rennsport Reunion. An amazing number of 956s and 962s showed up along with very many 917s and 935s. All other Porsche race cars were well represented as well. Attendees got the chance to see Roger Penske driving Mark Donahue's 917-30 being chased by another 917-30. This was held in the Summer of 2001 at Lime Rock, Connecticut. This was written up in Panorama and Excellence. At the time it was just called Rennsport Reunion. A few weeks later the event was broadcast on Speed Channel in the United States. The video here was converted to digital from a poor quality VHS tape. 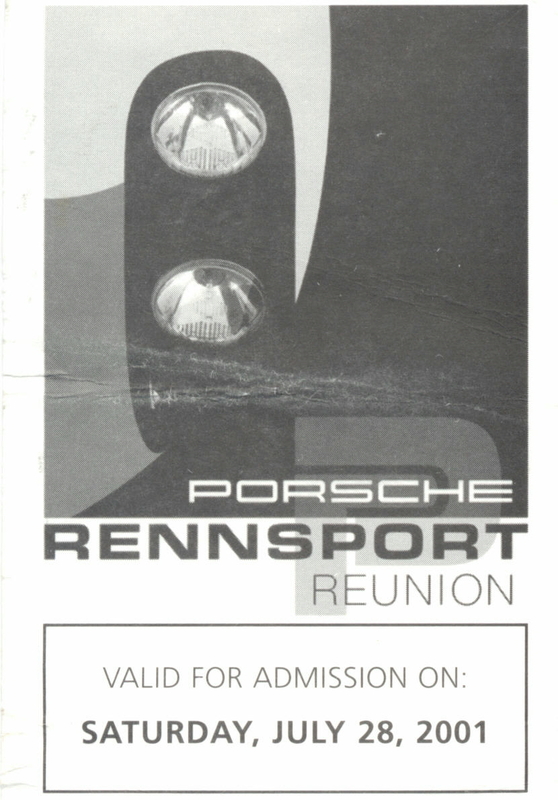 Rennsport I was such a success that Porsche decided to do it again 3 years later. The event had outgrown little Lime Rock Park so the much larger and more significant Daytona Speedway was chosen for the location. The turn out of historic Porsche race cars was impressive. This event was written up in Panorama and Excellence. A few weeks later it was broadcast on Speed Channel in the United States. Three years later Porsche put on Rennsport 3, again at Daytona. This one featured rain and another very large gathering of 917s, 935s, 956s and 962s. This was written up in Panorama and Excellence. After a 4 year hiatus, it was time for Rennsport 4. This one was held on the west coast of the United States at Laguna Seca raceway in Monterey, California. This event was used by Porsche as the North American introduction of the new 991. There was an absolutely spectacular turnout for this amazing event. Over 300 vintage Porsche race cars on track, thousands of street cars in the parking lots and a lot of current and former drivers walking around the paddock. This Rennsport was the first for the recently retired but still incredibly fast Porsche LMP2 Spyders. Sitting in the garage, still wearing plenty of dirt and grime from its last race was the Orange and White 911 Hybrid that had competed the previous weekend in the WEC race at Laguna Seca. This event was written up in Panorama and Excellence. It was broadcast on Speed Channel a few weeks later. 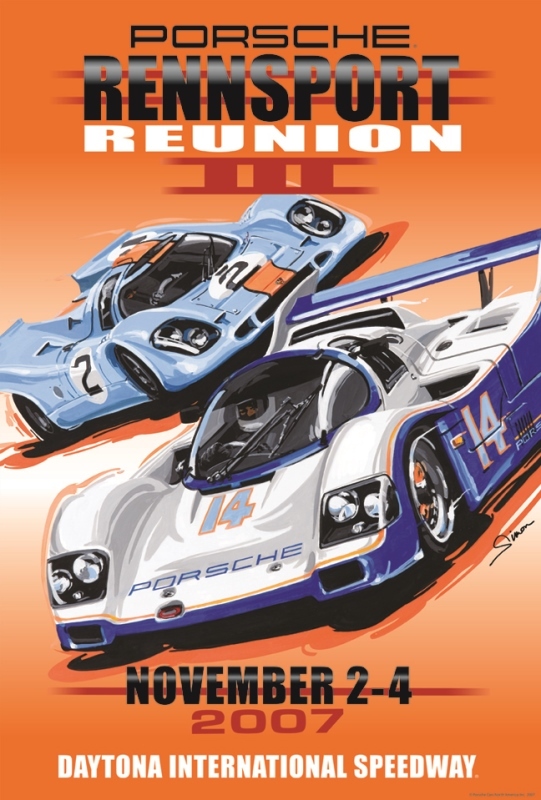 Over 57,000 spectators from around the world trekked to Monterey for the 2015 edition of Rennsport Reunion. This year the feature was Le Mans Legends. The hilite was the 2015 Le Mans winning 919 with two of them fresh from the race in Austin, Texas and many Porsche factory drivers. There was one 919 on display in the Porsche in the Paddock area and another on track running laps behind a sinister flat black Panamera camera car. This was written up in Panorama and Excellence and broadcast in the US on the Fox network. 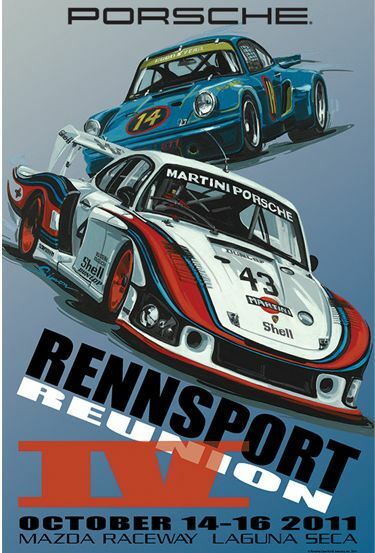 Here are some race videos from Rennsport V in HD quality. The event was expanded to 4 days for 2018 and approximately 81,000 people were in attendance. The new car announcements were the new 911 Speedster concept and New 935. Some of the features of this Rennsport were theTractor races. Porsche #1 being driven by Wolfgang Porsche, The Porsche type 64, and the 919 evo hot laps. This was written up in many magazines and web sites. Not all major Porsche events are held in the United States. In May of 2013 Rennsport Australia was held at Sydney Motorsports Park attracting over 500 Porsches and a crowd of about 4000. This event will be repeated and expanded in 2016. 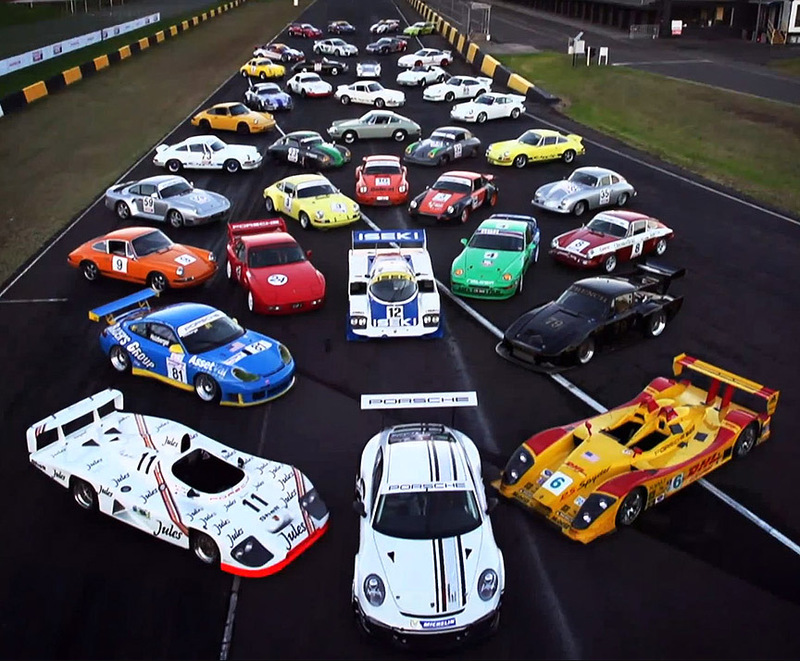 In 2016 the 2nd running of Rennsport Australia was held on April 30 - May 1 2016 at Sydney Motorsports Park attracting over 450 Porsches and a crowd of about 5000 spectators.